Rekindled Moments: The long wait is over . . .
"Fantastic layouts, what a fun challenge. 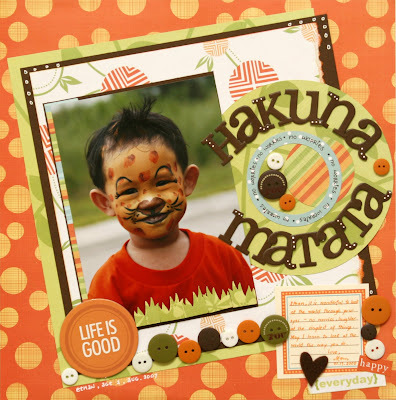 After looking at all of the layouts, I selected Hakuna Matata by Pia Lopez as the winner. " Congratulations Pia, here's your prize, ENJOY!!! Nice picture and nice LO. I like the "orange" feel of the layout. 2nd shipment of MAYA ROAD items!!! Inque Boutique New Arrivals & Restocks!! !